With close to 100K followers, our fanbase spans from coast to coast with fans in a majority of the U.S. states as well as outside of the United States. We have a thriving YouTube channel of 10,000K followers and growing. Our motorsports videos and channel are used to promote our sponsors and are a prime advertising market. Our videos are created by Go Fast Turn Lefft TV and DP Imaging. 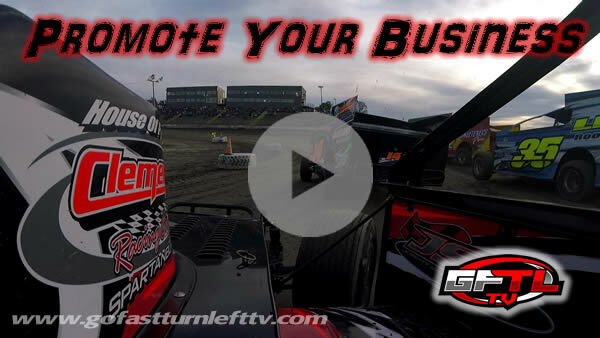 Check out the video above to see how we can promote your business with a motorsports video. If you would like to see more videos check out www.gofastturnlefttv.com or use the button below. If you would like to learn more about how Purdy Motorsports can help market your business use the contact form to the right. If you are interested in becoming a marketing partner and would like more information, please fill out the form below and a representative from Purdy Motorsports will get in touch with you.